El Born is one of Barcelona’s trendiest neighborhoods, and also one of the most historical. Packed with small medieval streets, museums, design shops and charming squares, El Born is a lively area that contains some of the best tapas restaurants and bars in town; we list the top 10 spots to try. 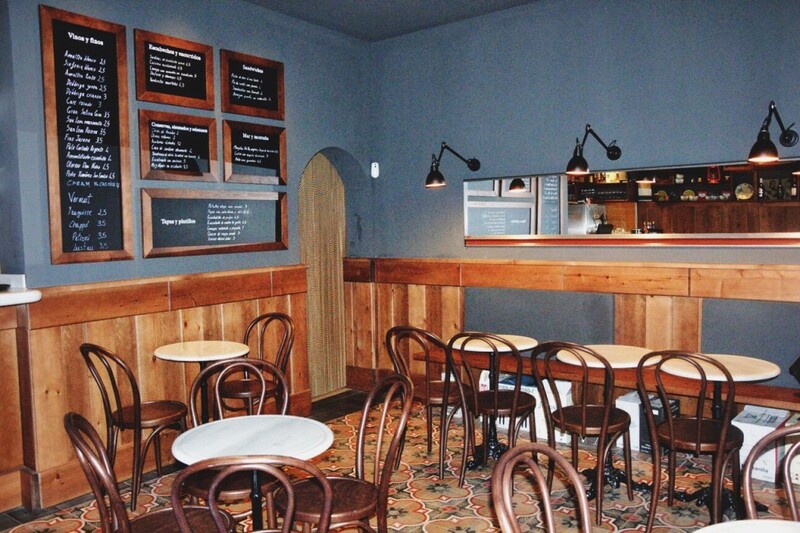 Set de Born is a small and cozy bar near the basilica of Santa Maria del Mar. This is one of the most popular establishments around El Born because of its extended selection of tapas and artisanal Catalan cheeses. In Set de Born, you can taste some of the best lunch meats in town (especially the typical jamón Serrano) and enjoy some quality time with friends or family while you savor a glass of cava or wine from the bar’s own cellar. Bar del Pla is a wonderful choice if you’re visiting El Born. This intimate and lively bar located in the heart of Ciutat Vella offers a great variety of traditionally cooked tapas and carefully selected wines by the team of experts that work in the kitchen. 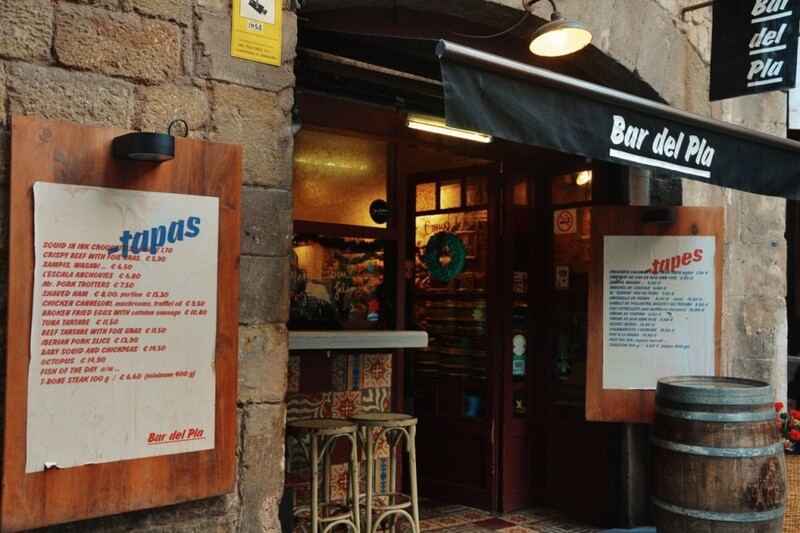 Bar del Pla is the perfect place to have a drink and a good quality appetizer in a charming hidden spot in town, surrounded by the medieval streets of Barcelona. La Bona Sort is not just a tapas bar; it’s also a restaurant specializing in different types of meat from around the world. Besides the stylish dining room, the restaurant also has a wonderful terrace perfect for warm days and nice dinners, as well as a chill-out area. Enjoy some of the best tapas in town while you taste the restaurant’s great selection of wines, beers and cocktails. 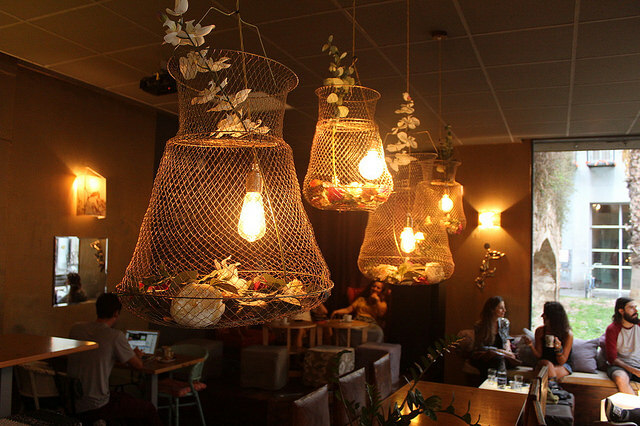 Alsur Café has three different establishments around Barcelona, and luckily enough, one of these three is in El Born. Alsur Café is the perfect mixture of an informal place where you can enjoy a good variety of tapas, pastries plus desserts and an elegant establishment with its lounge atmosphere and great selection of music in the background. If you’re walking around the historical neighborhood with a group of friends, Alsur Café is the perfect place to make a stop. Elsa y Fred is a magical spot in the heart of Barcelona, next to the Arco de Triunfo. The bar’s vintage design is inspired by the 1950s, and it offers not only some of the most popular tapas in town but also delicious breakfasts Monday to Friday and exquisite brunches on the weekends. 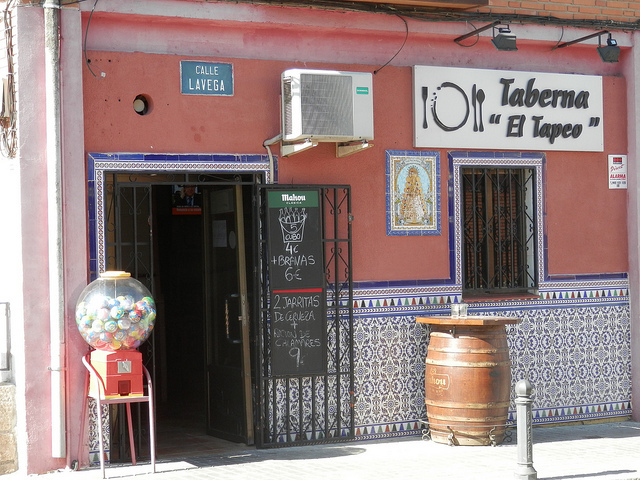 Tapeo Bar is a small and cozy restaurant located two minutes away from the Picasso Museum and popular both for its excellent, friendly service and its delicious tapas and good wine. You can’t miss a stop off at this warm and cozy establishment for some of its delectable ensaladilla rusa (Olivier salad), one of the bar’s most well-known dishes. Saboc is an elegant restaurant located next to the cultural center of El Born. Focusing on Mediterranean food, the chefs of this restaurant cook ingredients at different temperatures and in a multitude of ways to mix up textures and flavors. The results are some of the most inventive tapas in town.